Despite crypto going through a down period in 2018, blockchain continues to move forward. Development is ramping up on projects that look to put blockchain to work on real-world use cases. One of the projects leading the way in this sector is VeChain (VET). This guide is going to show you how to get your first VET tokens, via one of the world’s most popular exchanges, Binance. In a nutshell, VeChain is BaaS – Blockchain as a Service. It’s about bringing forth use cases for blockchain at an enterprise level, where there is often a need for an immutable, trust-free ledger of information. It starts with the supply chain, using digital product identities on the blockchain to track and trace products throughout supply and delivery. The use cases expand to verifying the authenticity of many high-ticket goods, such as luxury accessories, wine, liquor and much more—including a strategic partnership with Cyprus. It does this by using RFID chips planted in/on products, uploading data to the blockchain so people can have immutable proof whether the product they’re buying is legitimate or not. Use cases are expected to extend even more in the future, to include tracking in the automotive industry, as well as the Internet of Things. VeChain is undoubtedly a project with immense potential and has raised significant hype from the crypto community since its ICO in August 2017. So let’s see how you can get VET tokens for yourself. This guide is going to focus on the Binance exchange, as it is one of the safest and highest volume exchanges in the world today. If you haven’t already, register for an account. The process can usually be completed very quickly. Before you can start trading, you’ll have to submit several documents to have your accout verified. Additionally, set up 2-Factor Authentication and other security measures to keep your account safe. As it is still a very new cryptocurrency, few large exchanges offer the ability to purchase VET with Fiat. So your best option will be to get Bitcoin or Ethereum and then trade for VET. If you don’t own either of these coins already, or you want to invest more into crypto, you can buy them with a credit or debit card from sites like Coinmama or Changelly. Once you have one of these two coins, you’ll need to make a deposit to your Binance wallet. 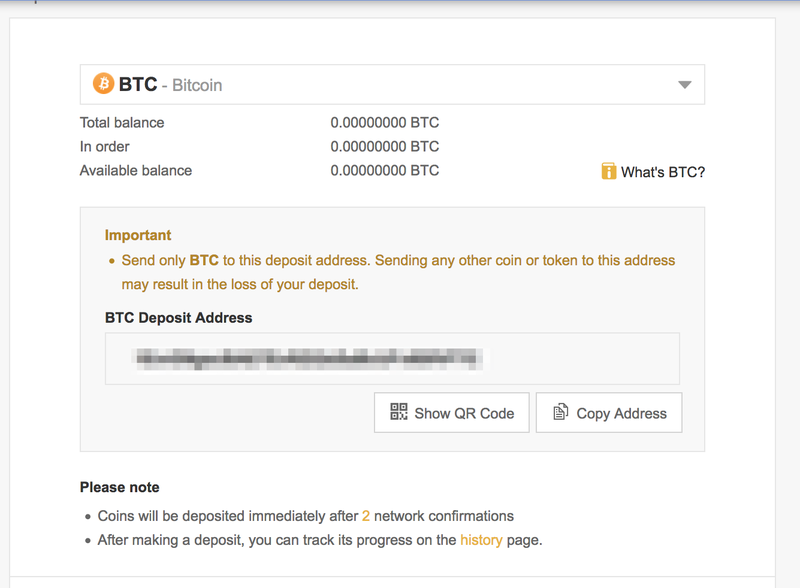 Go to the menu at the top of the page, select “Funds”, then “Deposits”. Select the coin you want to send from the dropdown menu. You’ll be given a wallet address to send your coins to. Make sure to only send the specified coin (i.e. BTC to the BTC wallet, ETH to the ETH wallet). Any other coin sent to this address may be lost. Deposits and withdrawals are often cleared quite quickly, but depending on the network load it can take a little while. Wait for Binance to give you confirmation that your deposit has been successful. Once your deposit has gone through, move to the exchange section of the site. On the navigation bar at the top of the site, hover over “Exchange” and click “Basic”. Now go to the box on the right side of the page. Select the coin you wish to trade with (BTC, ETH, BNB or USDT) and search for VET. Select the pair that comes up (e.g. VET/BTC). Binance offers a lot of data, such as price and order history, to help you make trades at the right time. They also give you the ability to set limit orders. This means you set the price you want to buy (or sell) VET for, and once it hits that price, the exchange will automatically make your trade. In the “Buy” box below the price graph, put in how many VET you want to buy, and the price to buy it for. Alternatively, you can choose “Market” to buy for the current price (this is fine for novice traders). Click the green “Buy VET” button to complete your trade. Once Binance confirms your transaction, you’re done! It’s a good idea, when not trading, to move your coins off the exchange and into a secure wallet that you control. This way the security of your funds is in your hands, you are not at the mercy of the exchange’s security measures. To do this, you will need a wallet that supports VET tokens. The VeChain Thor mobile wallet is the official wallet developed by the VeChain team, and is available for iPhone and Android. Alternatives include the Atomic desktop wallet for Windows and Mac, or for the highest level of security, a hardware wallet like the Ledger Nano S.
When you have a wallet ready, you can withdraw your tokens from Binance. Go to the menu at the top of the page, select “Funds”, then “Withdrawals”. Choose VET from the dropdown menu. 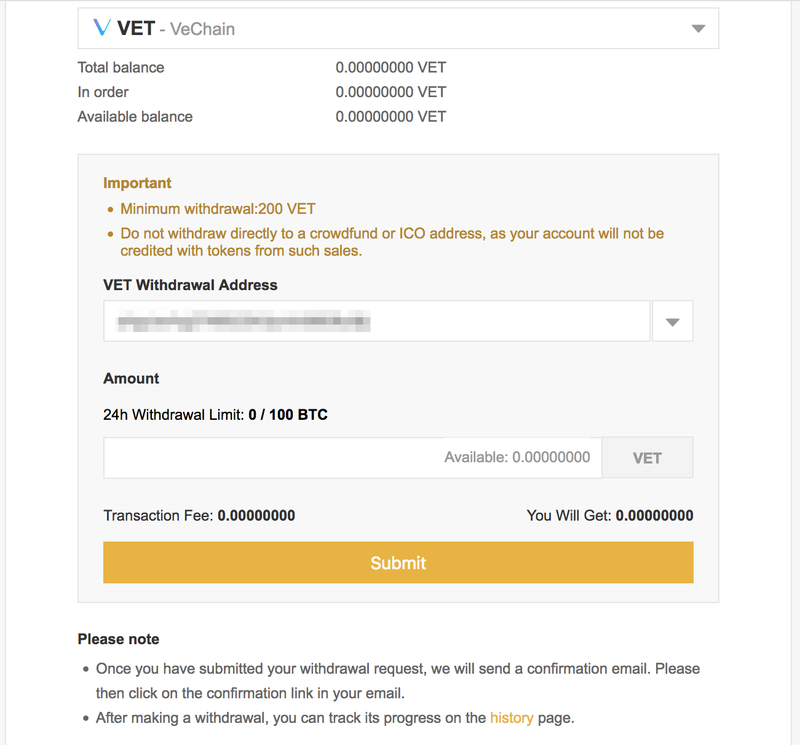 Put in the address from your VeChain wallet as the VET Withdrawal Address. Double check the address is correct, choose how much you want to withdraw, and hit submit. 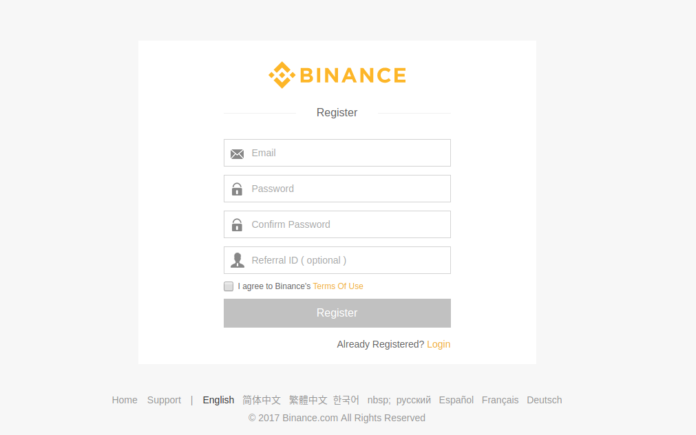 Binance will confirm when your transaction has been completed. …and that’s all you need to know to start investing in VeChain, one of the most promising projects focused on real-world blockchain adoption. Want to learn more? You can check out our full Vechain VET Price Prediction article here, as well as a technical analysis on Vechain trading pairs.